Whether you want to convert your unused basement into a home theatre, home gym, or family room, our basement contractors have the tools and knowledge for the job. If you want to completely remodel your West Virginia home’s basement or you’d like to simply refinish it, we’re the company for you! Our trained West Virginia basement contractors have years of experience in remodeling, refinishing, and renovating basements. We serve multiple West Virginia locations, including Clarksburg, Charleston, Huntington, Parkersburg and Morgantown. Contact our basement finishing contractors today to schedule your free basement inspection and receive a free finishing or remodeling quote. 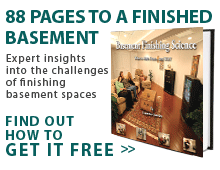 There’s no better time to refinish or remodel your West Virginia home’s basement – call today!